Deliver an excellent caller experience. Chris Wells from Bluetree Network discusses how process and technology improvements can help boost the patient experience, and shows how she leverages Parlance speech IVR solutions to radically improve her call management methods for her healthcare customers. Learn how Hometown Health Insurance took a good look into caller journeys, applied simple changes to overcome challenges, and improved metrics across the board with help from Parlance speech IVRs to boost the caller journey and customer satisfaction. Parlance CX Insights deliver unprecedented visibility into the complete caller journey—from the moment a caller dials in until they hang up. Deeply understand who your callers are, what they’re trying to do, the call paths they take, and where you can improve services and streamline call flow. Move beyond the limited scope of point based analysis tools to gain complete caller experience context. Uncover critical CX roadblocks and invest more wisely armed with greater knowledge of caller intent and behavior. Parlance Adaptive Speech Automation solutions enable fast, simple, and intuitive caller experiences to get callers to the right place in a business without the effort and frustration of IVRs, AAs, and hold queues. High levels of user engagement deliver immediate impact and attractive ROI. Deliver the experiences your customers want, and the efficiencies your contact centers need. Please callers, increase agent availability, reduce costs, and more. Visionary organizations — from healthcare and higher education to finance, food service, and manufacturing — rely on Parlance every day to improve call handling, reduce operational costs, and raise customer satisfaction. 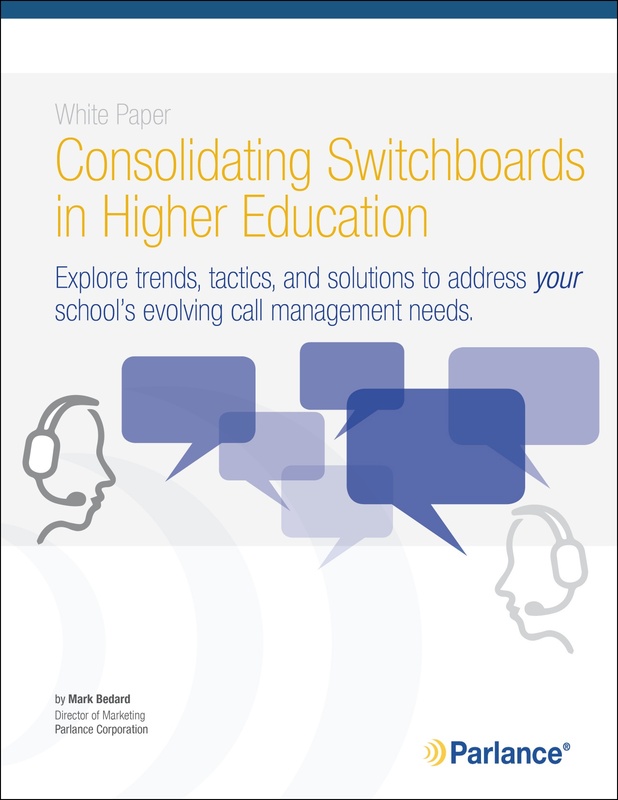 White Paper: Are You Empowering Your Operators? White Paper: Can Lean Practices Transform Call Management?